1st Med Transitions mission is to provide our clients with the ability to make an informed financial decision regarding the purchase of sale of their specialized practice. Our intricate knowledge of each professional vertical allows us to better understand and manage each transaction to a successful outcome. Founder of 1st Med Transitions, Mike has 15 years of professional experience in medical practice & commercial real estate transactions. He has personally managed over $100 Million in medical practice transactions. Before founding 1st Med Transitions, Mike honed his Professional Practice Knowledge as the Director Of Practice Lending at 1st Med Financial, a boutique medical practice financing company that quickly became an industry leader in originating and closing dental, veterinary, optometry and pharmacy practice transactions. It was at 1st Med Financial, working with industry brokers, he realized there was a "Smarter Way To Sell Your Practice". He developed a streamlined marketing system and transition process that takes advantage of technology to speed up communications and transaction processing. This enhanced communication and automation allows 1st Med Transitions to substantially reduce costs and transfer the savings to our clients. On average, our sellers save 40% - 50% in commissions over traditional practice brokers. Mike holds a B. S. degree from the University of Central Florida in Finance and Management Information Systems. Prior to joining the 1st Med Team, David worked as a Financial Advisor for Wells Fargo assisting clients with their personal and business investment goals. 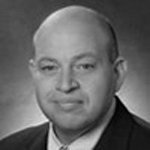 David has over 5 yeas experience in medical practice mergers and acquisitions. 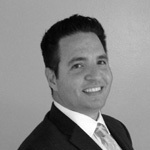 David is a licensed Financial Advisor and Insurance Specialist. He holds a B. S degree from Florida Atlantic University in Finance.